How states cooperate in the absence of a sovereign power is a perennial question in international relations. With Power in Concert, Jennifer Mitzen argues that global governance is more than just the cooperation of states under anarchy: it is the formation and maintenance of collective intentions, or joint commitments among states to address problems together. The key mechanism through which these intentions are sustained is face-to-face diplomacy, which keeps states’ obligations to one another salient and helps them solve problems on a day-to-day basis. Mitzen argues that the origins of this practice lie in the Concert of Europe, an informal agreement among five European states in the wake of the Napoleonic wars to reduce the possibility of recurrence, which first institutionalized the practice of jointly managing the balance of power. Through the Concert’s many successes, she shows that the words and actions of state leaders in public forums contributed to collective self-restraint and a commitment to problem solving—and at a time when communication was considerably more difficult than it is today. Despite the Concert’s eventual breakdown, the practice it introduced—of face to face diplomacy as a mode of joint problem solving—survived and is the basis of global governance today. 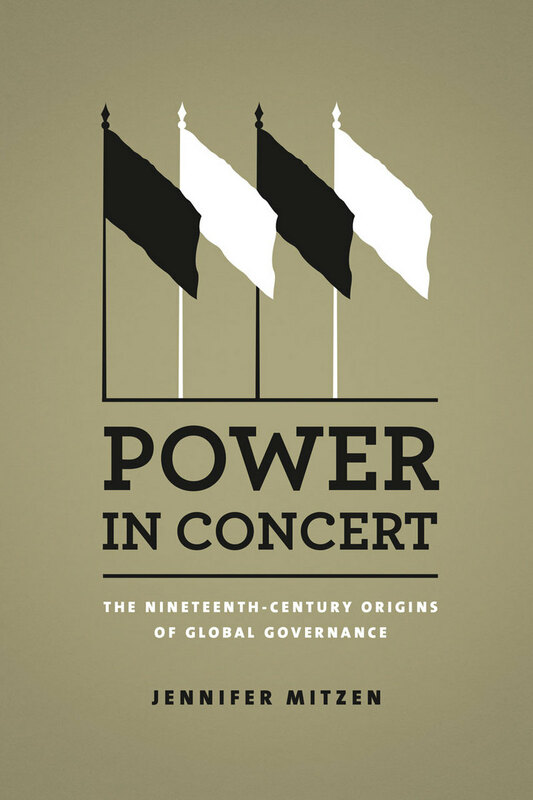 "Power in Concert aims to extend our understanding of the core role of states and their intentionality in global governance and to 'push back' against the heavy influence of neoliberal thinking in IR scholarship about it. Although at first glance, Mitzen’s book might appear to be yet another study of the Vienna Settlement of 1815 and the Concert of Europe, it is something else altogether. Mitzen has coupled a careful re-examination and analysis of historical accounts with a sophisticated use of the IR literature about collective intentionality to construct her argument about the centrality of concerted international public power to governance. . . . Whereas much of today’s global-governance literature downplays the role of states and the value of forums, Mitzen’s book emphasizes the importance of the international public power that only states can create together."